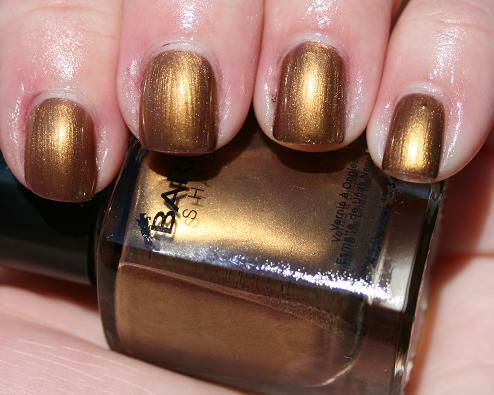 Shine on this holiday season with six new Barielle Shades that show off your festive tips. The Holiday Hustle Collection brings you new hues combined with flecks of sparkle and metallic shimmer to make you glisten brighter than tinsel. Step under the mistletoe with Elle’s Spell—a jelly red with multi-colored foil flakes. I should not have swatched this one last! Since it's a jelly, it was pretty transparent, and you can see the evidence of my long swatching session under my nail tips..... Pretty nonetheless! Grab some luck with Gelt Me To The Party—a copper bronze metallic. I did not think I would like this one, as bronze does not usually look good with my skintone, but I really love it! Stay off the “naughty list” with Coalest Day Of The Year—a carbon gray with white pearls. Fabulous coverage- almost perfect in one coat, but I did two for good measure. Tie it in style with Wrap Me In Ribbon—a metallic raspberry with violet and copper pearl undertones. 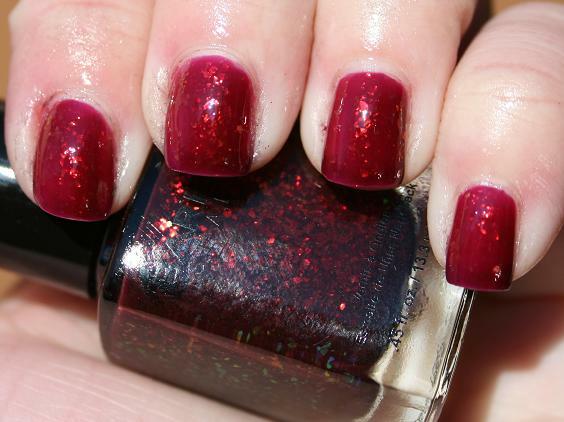 This was not my favorite shade, but applied nicely. Cheers to a new year with Jess’ Champagne Toast—a metallic violet with rose gold glitter. I had the highest hopes for this one, and it didn't disappoint. Gorgeous in the sun. Bundle up with Snow Day—an ice blue metallic with silver undertones. Such a pretty silver! 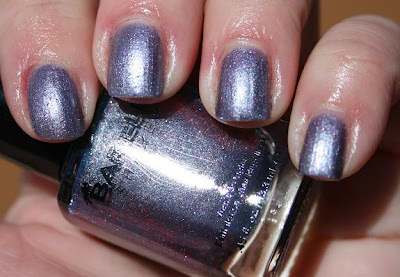 Would make a good NYE mani. Disclosure: I was sent this collection for review purposes. These are all really pretty colors. 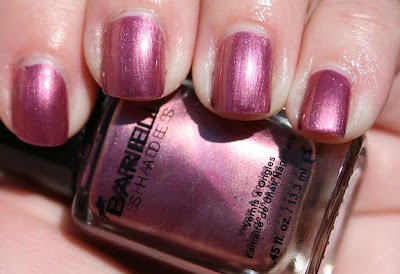 I am so glad that Barielle is at Ulta now, I ♥ Elle's Spelles!